Born on April 24, 1959 in Colwyn Bay, Wales, Paula Yates was a TV presenter and writer best known for her work on The Tube and The Big Breakfast. In 1979, Yates began her career as a music journalist with a column called “Natural Blonde” in the Record Mirror, shortly after posing for Penthouse magazine. She first came to prominence in the 1980s, as co-presenter (with Jools Holland) of the Channel 4 pop music programme The Tube. She also appeared alongside friend Jennifer Saunders in 1987 for a spoof ‘mockumentary’ on Bananarama. After the birth of her daughters, Yates wrote two books on motherhood. 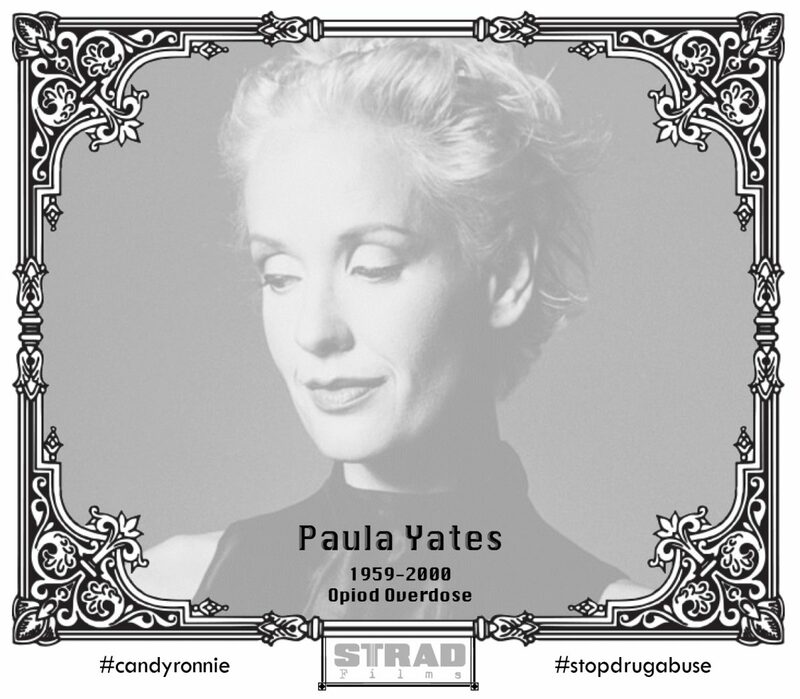 On 17 September 2000, on Pixie’s 10th birthday, Yates, 41, died at her home in London of an accidental heroin overdose.